Scene based a piece of concept art by an unknown artist. Modular pieces modeled in Maya with tileable texture atlases from the baked high poly models. Textures(diffuse, roughness, emissive) were created in Photoshop. 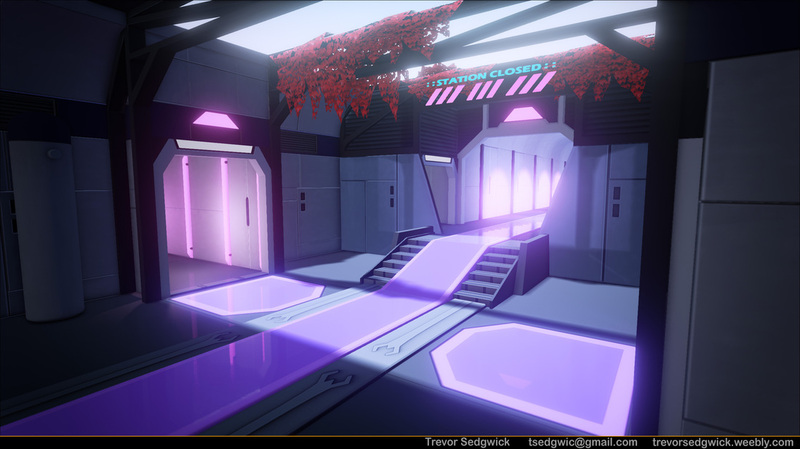 This scene was assembled and lit in UE4.